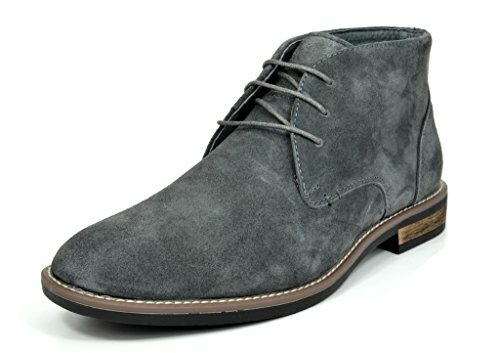 Give your outfit a classy look with these chukka Featuring suede upper, classic three eyelets lace up, and contrast stitch detailing on vamp for added style, and classic plain toe Design, Finished with smooth suede and textile Lining, cushioned footbed for comfort, and non-skid outsole. If you have any questions about this product by BRUNO MARC NEW YORK, contact us by completing and submitting the form below. If you are looking for a specif part number, please include it with your message.